Imagine a large format display that’s built for 24/7 clinical use. Imagine it with crystal clear 4K image quality and a thin, glass-to-bezel, easy to clean screen. Ideal for Hospital environments. 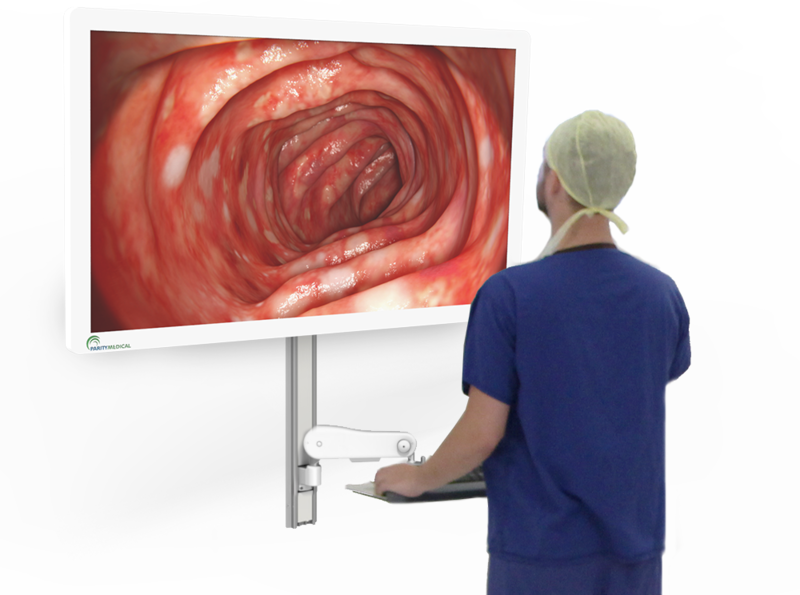 Traditionally using an affordable large format review screen in a clinical environment would also require an infection control enclosure. Theatre teams wanted a better solution. The MedView Touch 4K offers simple yet effective infection control with enhanced image quality, responsive touch and an ultra-wide viewing angle, making it perfect for theatres, MDT and Training Rooms. A design that’s simple. A design that’s clean. Developed for continuous use in clinical environments and built for infection control without compromising on functionality, design or clinician time. The capacitive touch screen has a thin white bezel combined with a sleek glass panel to give a protection rating of IP52 – essential for preventing the build-up of dust and bacteria. Older Infra-Red touch technology required a thicker bezel which would collect dust. When detail is critical you need image clarity that leaves nothing to chance. The MedView Touch 4K provides crisp, Ultra High Definition (HD) images with four times the detail of HD. The ultra-high contrast and enhanced 8-bit colour depth delivers the brightest whites, the darkest blacks and all the 1.07 billion colours in-between. This, together with the high brightness required in well-lit areas such as theatres ensures that even the smallest detail and discolouring are visible. Select, highlight and annotate easily and instantly with 10-point Capacitive Touch. Convenience matters: The MedView Touch 4K will also respond to a surgical gloved touch, saving time where it matters most. Reliability is every bit as critical as image quality. The MedView Touch 4K is built for 24/7 continuous use in healthcare environments. It has a lower power consumption than most commercial screens, combining reliability with image quality, infection control and operating efficiencies. Configure. Connect. We’ll do it all. The MedView Touch 4K is compatible with Windows 10, 8, 7, XP, Android and Linux. It supports HDMI 2.0 with Touch interface through USB Type B. It conforms to the standard 400mm VESA mounting pattern, meaning it is easy to install. 30+ years enabling digital transformation. 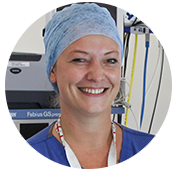 Like all Parity Medical solutions our experienced team are at hand to offer support when it is needed. We understand the hospital environment and we can help with site surveys and specification. 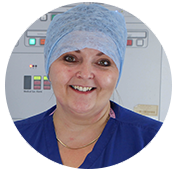 Our on-site installation team are NHS experienced, and will work around your workflow to suit you to avoid Theatre shutdown (weekends/nights). Experienced with partition walls or PFI’s. Its 10 out 10, your team are superb and it went very well on the day. It has been a total pleasure dealing with you, it was all dealt with professionally from planning to implementation. Firstly – a big thank you for the work done in Theatres. The feedback from Theatre 5 is that they really like the solution put in. We’re on hand to quickly give you pricing, more information or arrange a demonstration. Please get in touch by filling out the contact form or pop on to our instant Live Chat Service.